ExonHost in one of the best and most popular premium hosting provider companies in Bangladesh. But now they are providing their services worldwide. Grab an Exonhost coupon code to save your money. Get a .com Domain at Only $5.99 from Exonhost. দেশসেরা হোস্টিং সেবাদাতা প্রতিষ্ঠান ExonHost থেকে হোস্টিং কিনুন ৫০% কম দামে! আর মাত্র ৭ দিন! ExonHost is one of the fastest growing hosting companies which is originated from Bangladesh. Matching with the name, ExonHost provides web hosting services to the people of Bangladesh and other countries at affordable prices. ExonHost started their journey in the year 2009 and the CEO of this hosting company is Saleh Ahmed. He was the one who had embraced the potential of the web and started to provide web hosting services in Bangladesh. 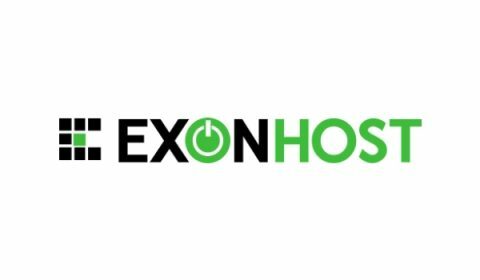 At the starting, ExonHost was named as Obosor.com but after a year the company acquired SoCheapHost and named the company to SoCheapHost. to the customers which they did lead the customers to be satisfied. ExonHost has prepared their packages in such a way that you can’t refuse. They have made their services customer-centered which made the packages more lucrative and attractive. ExonHost is providing Web hosting services, reseller hosting services and both virtual and dedicated servers. In their web hosting category, there are total four packages which include Starter, Standard, Advanced and Turbo Diesel+. In the starter pack, there are 1 GB storage, 1 core limit, 50 GB transfer, a single website and many more whereas in the standard plan you will get 5 GB storage, 1 GB RAM limit, 5 websites, 250 GB transfer etc. The Advanced and Turbo Diesel+ packs have much more features. If you choose one of these plans then ExonHost will be giving you the opportunity to transfer your site without any cost, free installation and free setup as well. In their Reseller hosting category, there are also four packages available that include Starter, Standard, Advanced and Business. You will get different features in different packs. The plans that ExonHost is providing on their virtual servers are commendable. The server that they are providing are fully secured and well-managed by them. If you take any servers from them then you will also get WHM/ cPanel which are already installed and configured and the full control of the server will be in your hands. In their dedicated servers sections, they have both single CPU server and Dual CPU servers. ExonHost has done their pricing keeping the customer’s ability in mind. You can take the Starter of web hosting at $2.03/ month, Standard at $5.99/ month, advanced at $9.99/ month and Turbo Diesel+ at $19.95/ month. If you look at the reseller hosting packs, the starter plan is $16.99/ month, the standard plan is $24.95/ month whereas Business plan is $64.99/ month. The most attractive facts about ExonHost are that they give you the premium speed, high performance, the configuration process is simple and they offer you a guarantee on their uptime. They have also kept an option of money back within 30 days so that you can averse your risk. ExonHost is also providing 24/7 professional support so that you don’t face any problem and these are the reasons behind this company being reputed in the market. Exonhost offers exclusive coupon and promo code to their customers. We partnered with Exonhost and publish their latest and cheapest coupons on our website. Feel free to visit this page to grab an Exonhost promo before purchasing hosting from Exonhost.